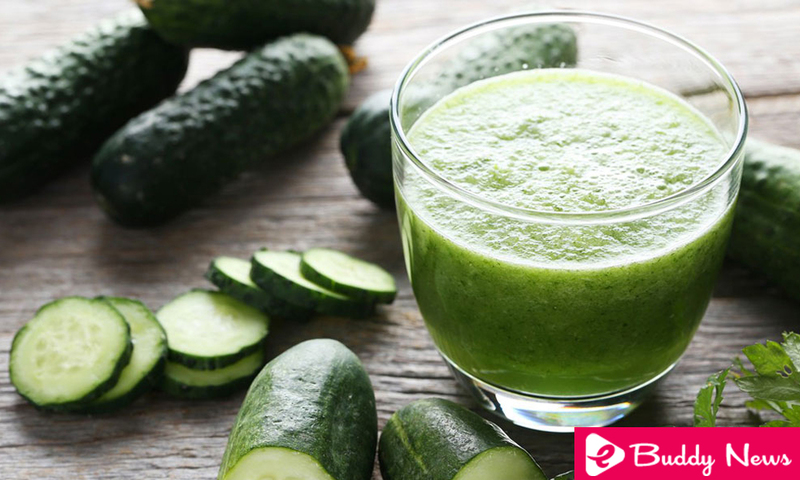 Cucumber juice is a healthy, nutritious and versatile drink. Due to its high nutrient content, this drink offers multiple health benefits that go beyond the general benefits of consuming a diet rich in vegetables. Some of their contributions to the organism include the improvement of the vital signs of the body, the ability to eliminate renal calcifications and help reduce the risks of obesity. Cucumber is one of the tropical plants widely available in most of the world. It is used more often to make pickles, although most of its nutrients are lost in this type of preparations. The great nutritional disadvantage of the juice compared to the whole cucumber is that dietary fiber is lost; that carbohydrate found in the intact cucumber. In this sense, if you drink cucumber juice daily, make sure you eat whole vegetables to offset your fiber intake. You can also use the leftover cucumber fiber after preparing the juice. Simply freeze the pulp collected from your blender and add it to mashed potatoes, soups and sauces. Cucumber has an impressive amount of naturally distilled water (about 96%), which makes it superior to ordinary water. Your skin contains a high percentage of vitamin A; therefore, it should not be peeled. It also contains minerals that form alkalis. This means that it helps create a more alkaline environment in the body, which inhibits bacteria and diseases. It is an excellent source of vitamin A and C (both antioxidants), manganese, molybdenum, potassium, silica, sulfur and smaller amounts of vitamin B complex, sodium, calcium, and phosphorus. On the other hand, you’ve probably seen beauty tips where they recommend using slices of cucumber in the eyes. This is due to the caffeic acid found in this vegetable, which helps prevent water retention, and when applied topically reduces swollen eyes. The alkalinity of the minerals in the cucumber juice effectively helps regulate the pH of the body’s blood, neutralizing the acidity. It is also calming for the treatment of gastric and duodenal ulcers. Like celery, this colorless drink can help regulate blood pressure due to its minerals and traces of sodium. The excellent source of silica contributes to the correct construction of the connective tissues in our body, such as bones, muscles, cartilage, ligaments, and tendons. During the dry and hot weather, drinking a glass of cucumber juice mixed with celery juice helps wonderfully to normalize the body temperature. Cucumber juice encourages the elimination of waste by urination. This also helps in the dissolution of kidney stones. Cucumber juice has temperature regulating properties, making it a suitable drink for when you have a fever. It is ideal to counteract the uric acid that causes inflammation in the joints. When taken daily, it does its job of cleaning the joints; thus decreasing pain, since it eliminates uric acid. This means that it also helps improve other conditions such as arthritis, asthma, and gout. The silicon and sulfur content in cucumber makes it especially useful in hair growth. You can mix it with carrot juice, lettuce or spinach. A large amount of vitamin C and antioxidants present in cucumber makes this an important ingredient in many beauty creams for the treatment of eczema, psoriasis, acne, etc. It supplies the necessary electrolytes and restores the hydration of body cells, thus reducing fluid retention. The consumption of cucumber juice combats the effects of vitamin K deficiency, which can include nosebleeds, bruising and bleeding gums. Choose cucumbers that are dark green and firm to the touch. Avoid those that are yellowish or wrinkled at both ends. Thinner cucumbers have less seeds than thicker cucumbers. Store them in the refrigerator to preserve freshness. Cut cucumbers should be kept wrapped or in an airtight container and kept in the refrigerator. Consume within a day or two. In addition to enjoying the cucumber juice by itself, you can also use it as a base for other healthy smoothies. Try mixing it with frozen melon balls and fresh mint, or with strawberries and basil, for a super refreshing drink.